Jaguar 420 In August 1966 the Jaguar 420 was launched. This was in essence an S Type saloon fitted with a twin carburettor 4.2 litre XK engine. 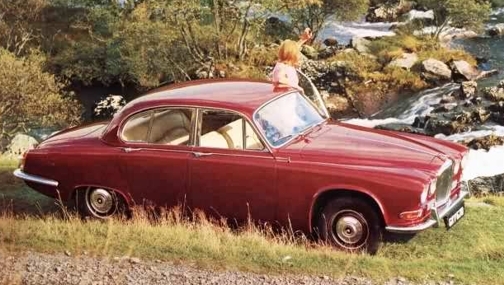 The car had also had its front end redesigned along the lines of the Mark X with four headlamp lighting, but retaining the original Mark 2 narrow bonnet opening to save on expensive retooling. Jaguar 420G At the same time, the Mark X also received a new radiator grille and a little extra chrome trim, and was renamed the 420G (for Grand) to bring some order and convention to the model naming system.